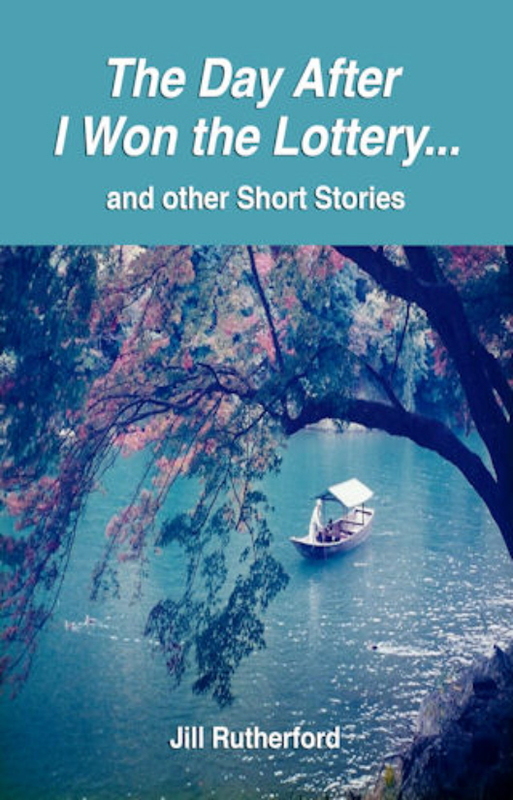 In this enjoyable and imaginative book of short stories is a collection of some of Jill Rutherford’s winning entries in various competitions over the past few years. Jill draws on her deep knowledge of Japan and Japanese culture in three of the stories, with a story about two mysterious ladies in Kimono who don’t speak to each other; a heartfelt story of a woman who sees her family killed in the recent tsunami and two women’s parallel lives in London and Tokyo. Other stories look at life in a quirky way with a story about a speaking house; a woman who cannot live without the colour red in her life; a childhood memory of a Faggots and Peas Cafe, a children’s story of a talking puppy and lastly, but by no means least, a warning of what can happen to you the day after you win the lottery! Oh, and yes, a woeful tale of the odds against winning the lottery – and it’s not as bad as you think! Jill Rutherford won the Charles Dickens’ Award (Eastbourne Fellowship) with a new story based on Dickens’ A Tale of Two Cites. Jill’s story is based in Tokyo and London and is about two similar women and the way their differing cultures have shaped their lives. It can be read in Jill’s book of short stories, The Day After I Won the Lottery … and Other Short Stories.